Home > Blog > Personalise the front of your card! We are excited to announce, new for 2016, you now have the ability to an extra personal touch to your Christmas card this year. Personalise the front of any of our design by adding your own logo and/or message, however foiled cards cannot be front personalised. 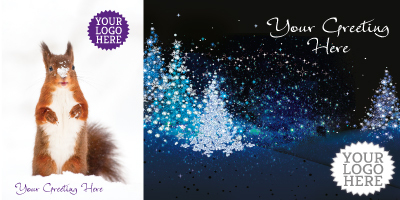 Please visit our bespoke page to begin your extra personal Christmas cards. On the other hand if you have any questions or would like to know more regarding out bespoke service please call us on 0207 610 6190.